The year 2019 marks the 200th anniversary of First Presbyterian Church in Covington. 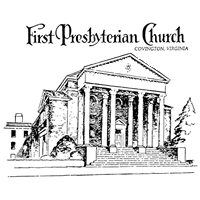 Although Presbyterian services took place in Covington as early as 1777, the church was officially organized under the leadership of Dr. John McElhenny of the Presbytery of Lewisburg in Virginia (now in West Virginia) in July of 1819. The main celebration of the anniversary will be the weekend of September 28th and 29th. Because this is such a remarkable time and achievement in the life of the church, there will be other special events planned through the entire year. As part of the year-long celebration, Music on the Corner will present 12 concerts or recitals, having one each month. All Music on the Corner events are offered to the public free of charge, but any who wish to do so are invited to make a non-perishable food or monetary contribution for local food pantries the church supports. First Presbyterian Church is located at 185 N, Maple Ave. in Covington. The accessible entrance is on Locust St. across from the Mid-city Mall parking lot. In case of inclement weather, please call 862-4320 or 962-0922.